April 12, 2019 | 7:30 p.m. Location: Vesterheim’s Bethania Church / Mill St. 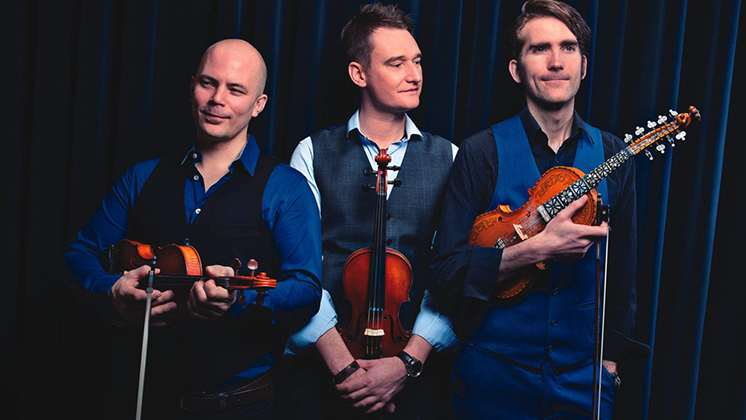 The Nordic Fiddlers Bloc is a fiddle trio from Norway, Sweden, and the Shetland Islands that have swiftly gained a reputation for their gripping and unique blend of fiddle music since their inception in early 2009. With a firm focus on the rich traditional fiddle music from their home countries, they have developed a sound that has been described as “unique,” “meaningful,” “intense,” and “invigorating.” Their clever use of harmony, rhythm, riffs, and bass lines creates a sound that will leave you enthralled but also dumbfounded that the sound only comes from three fiddles. To date their music has taken them to the USA, Canada, the UK, Ireland, and across mainland Europe, captivating audiences along the way. In 2016 they released their eagerly awaited second album, Deliverance, the follow up to their 2011 debut album released to great critical acclaim. Doors open at 7:00 p.m. $15 per person at the door. This concert is funded with support of the Decorah Hotel/Motel Marketing Committee. Find more info about the band on their website here. 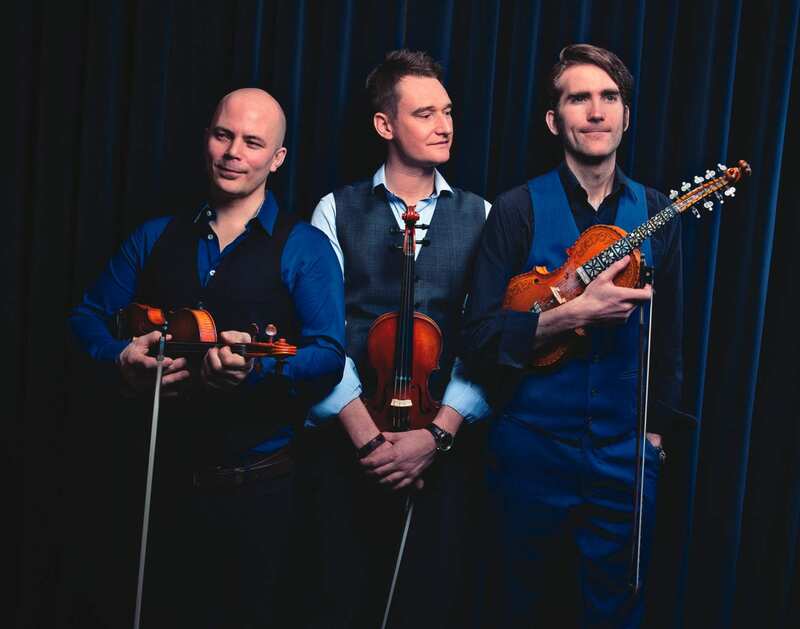 Nordic Fiddlers Bloc is offering a Nordic Folk Tunes Workshop from 2:00-5:00 p.m. before the concert. It’s open to all bowed and plucked string instrumentalists with ability to learn and play by ear. Expand your tune repertoire and join the fun with these amazing master fiddlers!